Another set of VC investors succumb to the siren song of fuel cells for telecom backup applications. Fuel cells have the unique ability to strip hydrogen atoms of their electrons and venture capitalists of their money. CellEra, based in Israel, just raised another $9.2 million in equity funding. The startup is developing a stationary PEM (proton-exchange membrane) fuel cell with a design that eliminates the costly platinum catalyst. The firm targets units in the one-kilowatt to 20-kilowatt range and has received funding from Israel Cleantech Ventures and BrainsToVentures in the past. The current investment round comes from Israel's Carmel Ventures and international communications giant Vodaphone. The total raised by the firm since its founding in 2007 is $13 million. Vodaphone as an investor makes sense because the initial application being pursued by CellEra is the replacement of lead-acid batteries or diesel generators in cellular tower power back-up. This is a multi-billion dollar market being pursued by other fuel cell manufacturers like IdaTech and flow battery firms like Deeya Energy. Back-up power for cell phone towers is especially critical in regions with low-reliability electrical grids, such as India or Africa. 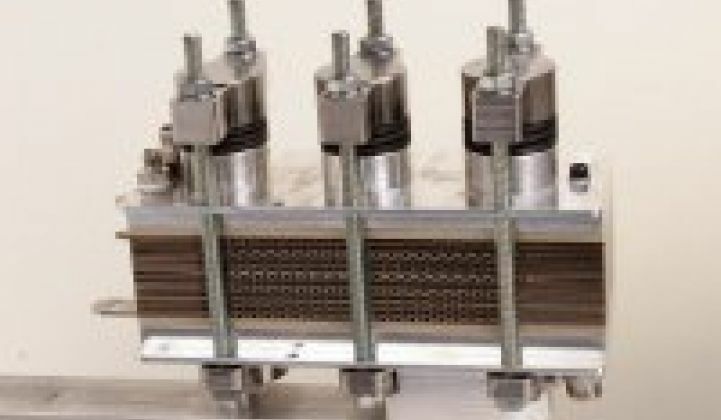 Since the beginning of fuel cell technology in the mid-nineteenth century, not a single commercial, pure-play fuel cell company has had a profitable year. Yet venture capitalists, with an inexhaustible supply of optimism and hubris, are able to convince themselves that their pet fuel cell startup with its unique, disruptive technology is going to break this dysfunctional cycle of fuel cell entrepreneur and investor-enabler. Certainly replacing the platinum catalyst is a crucial cost-saving step in the PEM technology field. According to the Israeli newspaper Globes, the startup has a prototype in action at CommScope, a large U.S. communications infrastructure firm. The company hopes to get to market in 2013. Without a doubt, there are some applications for which fuel cells make perfect sense, such as premium power for the military, use at remote sites, the construction industry, travel, etc. But fuel cell firms have learned the hard way that they must focus on the requirements of specifically addressed niche markets. And they must continue to scrub costs out of their systems, even as they sell into highly subsidized markets.